Toast almonds on baking sheet until golden, 10 minutes. Let cool. Stuff each date with one toasted almond. 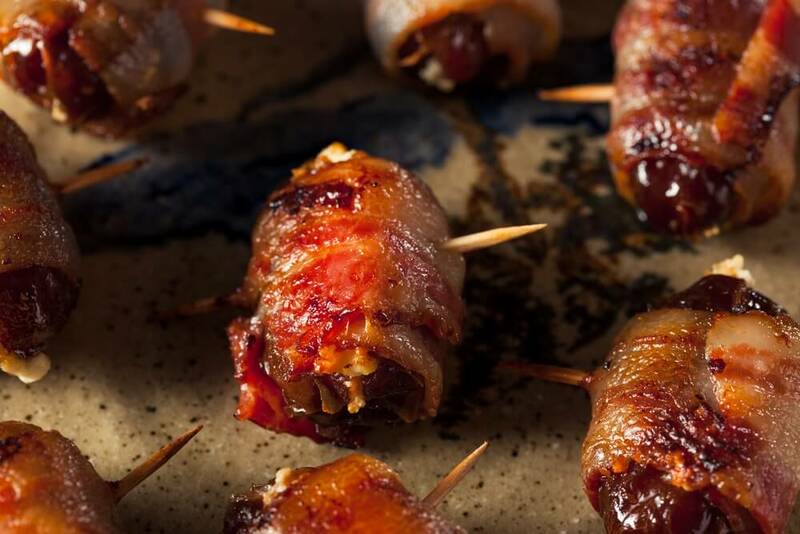 Wrap stuffed dates with No Name Bacon slice. Secure with toothpick, place on baking sheet. Bake until crisp, approximately 25-35 minutes. Transfer to paper towel to drain, let cool briefly, serve warm.